Elmer G. Gilbert received his B.S.E. and M.S.E. degrees in Electrical Engineering in 1952 and 1953, respectively, and his Ph.D. in Instrumentation Engineering in 1957, all from the University of Michigan. He has been with the University of Michigan's Department of Aerospace Engineering (then called Aeronautical Engineering) since 1954, becoming Professor in 1963 and Professor Emeritus in 1994. Visiting positions include the United States Air Force Academy (1965), the Johns Hopkins University (1974-1976, 1991-1992), the University of Minnesota (1985-1986), and the National University of Singapore (multiple times 1997-2005). Dr. Gilbert has had a highly varied career in engineering development, basic research, and teaching. This has led to over 100 publications and 9 patents. In the systems and control area at the University of Michigan, he was active in curriculum development and as an advocate for cross-department cooperation. He was Chair or Co-Chair of doctoral committees for 23 students. During his graduate studies, he was involved in the department’s analog computer and aircraft simulation research programs. This activity continued through the 1960’s, both in the department and as a consultant to Applied Dynamics Incorporated, a computer firm founded in 1957 by him and two other department professors, Robert M. Howe and Edward O. Gilbert. Up to 1970, he was a key member of the Applied Dynamics group responsible for conception and development of new products, primarily state-of-the-art analog and hybrid computers. The firm still exists, specializing in hardware and software tools for hardware-in-the-loop simulation, system prototyping, and embedded controller software. The 1960’s were a period of rapid development for the theory and application of control systems. This was the area of work in which Dr. Gilbert’s university activities were centered. A principal interest was the design of multivariable control systems. Based on his experience in system simulation, he observed that casual use of matrices of transfer functions did not allow adequate descriptions of the underlying dynamics they represent. This led to his widely recognized work (1962-1963) on the role of observability and controllably on state-space system representations, including the Gilbert realization, now a standard topic in system textbooks. A long-standing problem in multivariable linear-systems theory, not involving transfer functions, was input-output decoupling by state feedback. Dr. Gilbert gave its first complete solution in 1969. The result led to a large body of subsequent research in the field. Computational issues motivated much of his other research in the 1960’s. This included convexity-based, abstract optimization algorithms that led to the efficient solution of practical optimal control problems (for example, minimum-fuel impulsive control). Dr. Gilbert’s research contributions, after the 1960’s, are characterized by overlapping themes that already had appeared in his prior work: dynamic system representation and realization, optimal control, systems with hard (point-wise in time) constraints, and effective computational procedures. Specific topics treated include: periodic optimal control and its application to improved aircraft flight efficiency, feedback decoupling for nonlinear systems, power-law functional expansions for the input-output response of nonlinear systems, stability of nonlinear control systems with feedback provided by model predictive control, efficient procedures for computing the distance between objects (polytopes) in 3 space, path planning for robots in the presence obstacles, domains of attraction for linear systems with hard constraints and set bounded disturbances, and reference and command governors for linear systems with disturbances and hard constraints. Some of the papers on these topics published by Dr. Gilbert and his colleagues have become standard references in the control systems literature. Perhaps the most widely recognized paper is the one in 1988 with S. S. Keerthi on model predictive control. It was the first contribution to address in specific, rigorous ways stability issues crucial in many current control applications. Recognitions for Dr. Gilbert’s contributions include: Fellow of the Institute for Electrical and Electronics Engineering for “Contributions to multivariable and optimal control systems” (1979), election to the Johns Hopkins University Society of Scholars (1990), a Distinguished Faculty Achievement Award from the University of Michigan (1991), Fellow of American Association for the Advancement of Science for “Contributions to theory and practice of multivariable, optimal, nonlinear, and computer control systems and to control engineering education" (1995). In 1994, he was elected to the National Academy of Engineering: "For contributions to the theory and practice of multivariable, optimal, non-linear, and computer control systems, and to control engineering education." In 1994, he received the IEEE Technical Field Award in Control Systems "For pioneering and innovative contributions to linear state space theory and its applications, especially realization and decoupling, as well as to control algorithms." 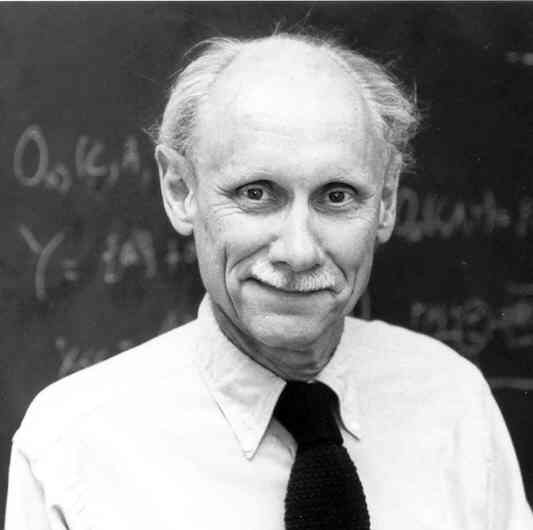 In 1996, he received the Richard E. Bellman Control Heritage Award from the American Automatic Control Council "In recognition of a distinguished career in automatic control, with pioneering research contributions to a broad range of subjects including linear multivariable systems theory, computation of optimal controls, nonlinear systems theory, and motion planning in the presence of obstacles." I am immensely pleased by the Award! It is indeed a special honor, coming from the American Automatic Control Council, which has done so much to advance and to unify the field of control. I recall with delight the long sequence of Joint Automatic Control Conferences and the subsequent American Control Conferences. The Council's many current activities, including its participation in this 13th IFAC World Congress, continue its invaluable service to the control community. In receiving the award I wish to recognize the support of friends, colleagues and former students. They have played a vital role in my work. I must also acknowledge the special influence of others I have known mostly or entirely through their publications. It is no surprise that Richard Bellman was one of them. Let me make a few remarks about his legacy and how it affects us today. In examining his writings I am struck by his genuine interest in applications and obvious desire to make his findings useful to a wide audience. In this, I believe, there are lessons to be learned. I'll note four. 1. Fundamental ideas have greater power when they are elegantly expressed. There is no better example than Bellman's formulation of dynamic programming. Its wonderfully stated ideas permeate and illuminate much of what we do, ranging from deep theoretical results in optimal control to practical, on-line implementation of controllers. 2. Propagation of knowledge is enhanced by the establishment of connections across fields and disciplines. Bellman's 1960 book, "Introduction to Matrix Analysis," illustrates this point beautifully. The discussions and bibliographies and the end of each chapter are marvelous sources of insight and diversity. 3. In mathematical exposition, clarity and accessibility are precious attributes. Bellman had a special talent for keeping mathematical developments closely connected to first principles and organizing them in simple, easy to understand parcels. He had the courage to compromise generality for clarity and, on occasion, rigor for insight. 4. Numerical issues are crucial to control applications. Bellman realized this early, four decades ago, when he addressed controller implementation, algorithm design, error analysis, and computational complexity. Over the years the field of control has become mature, complex and diverse. We now need, as Richard Bellman did so well, to give greater attention to the means by which we encourage its progress and impact on society. On that point I will end. Thank you.